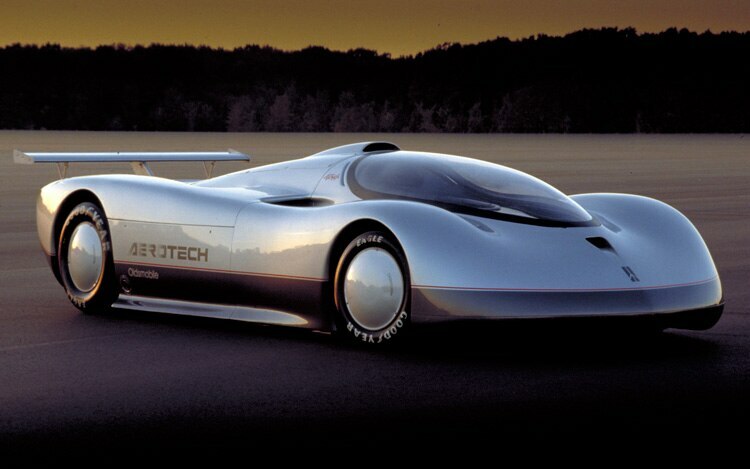 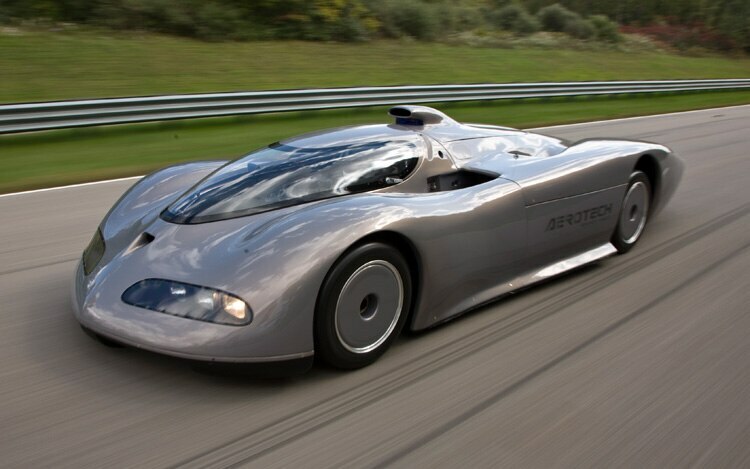 After nearly twenty three years of waiting, Ed Welburn , General Motors’ vice president of design, finally had a chance to slip behind his favorite project — the Oldsmobile Aerotech — for the very first time. 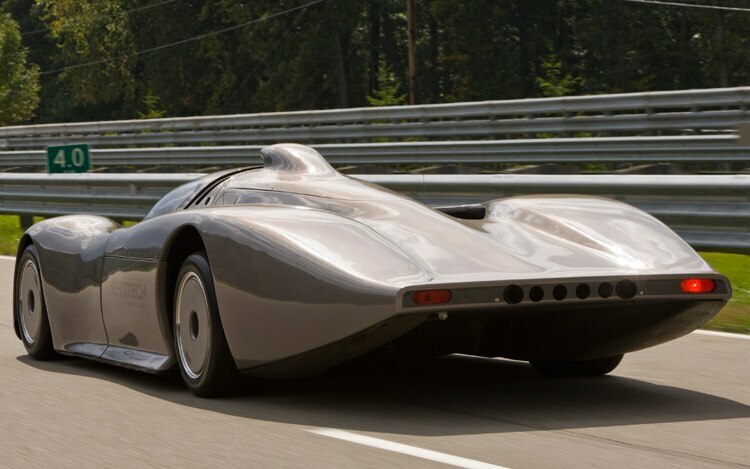 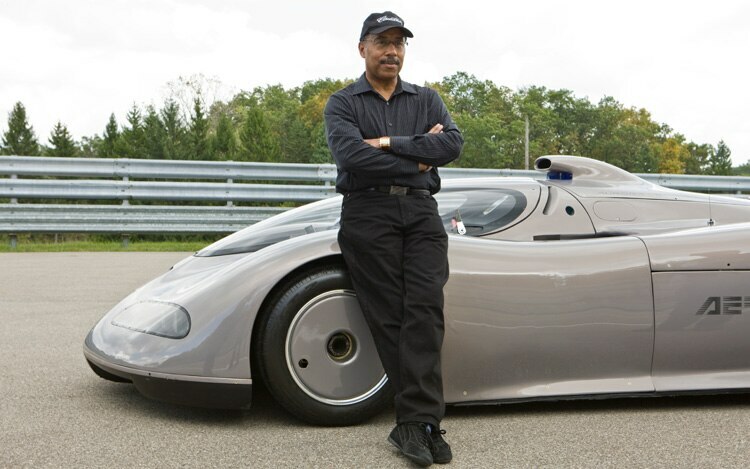 Welburn learned lessons designing the Aerotech that are still helping him design cars that balance aerodynamic requirements with appealing exteriors, but it wasn’t until September 24, 2010 that he learned what it was like to be behind the wheel of the record-breaking concept car. 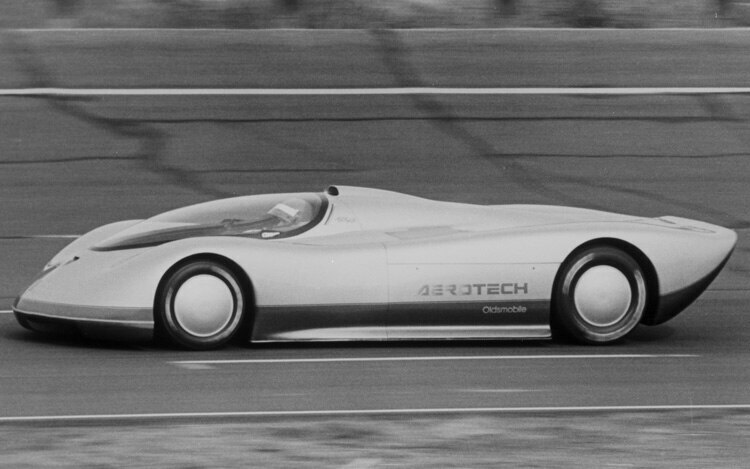 Although the sleek, high-performance single-seater seems like the stereotypical concept car fodder dreamt up by pie-in-the-sky stylists, the Aerotech wasn’t exactly the brainchild of General Motors’ Design Staff. 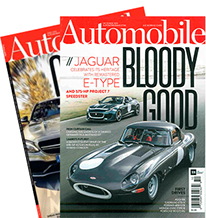 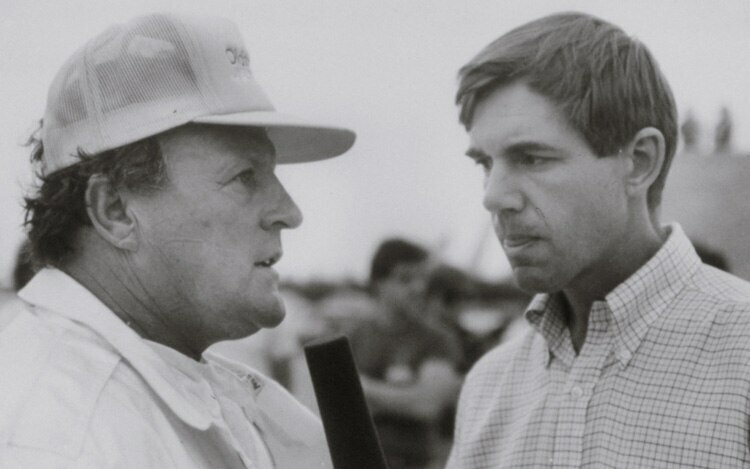 Credit for the entire program is largely due to a small group of Oldsmobile engineers and managers seeking to show off a new engine while simultaneously pushing their troubled division into the limelight. 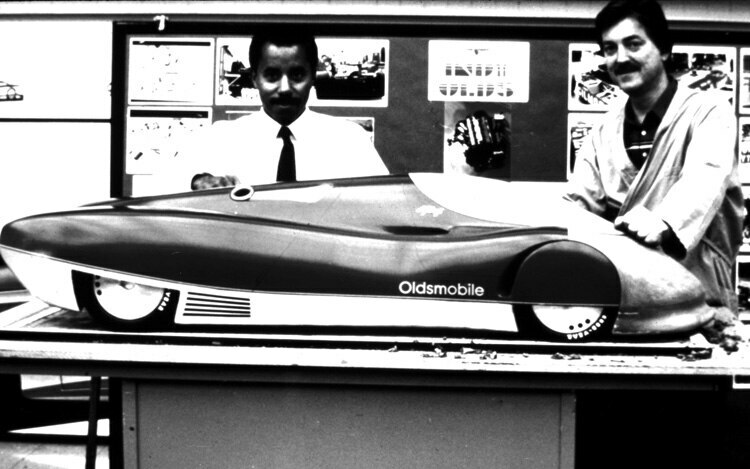 That mission floored Welburn, then the assistant chief designer in the Oldsmobile studio. 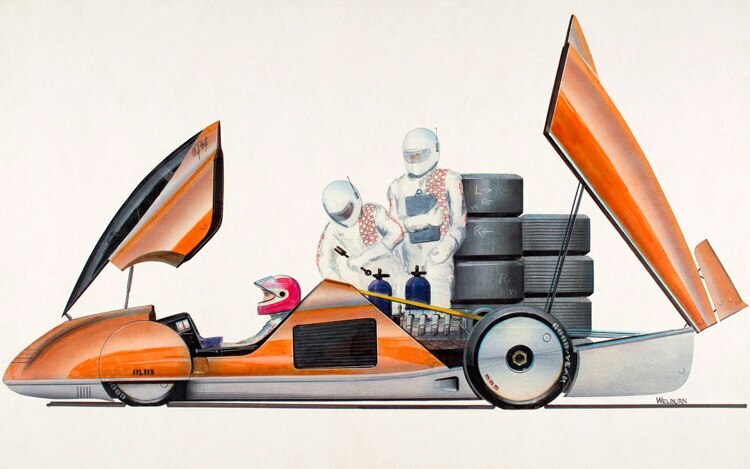 Although he was primarily tasked with crafting the exterior for the 1988 Cutlass Supreme, Welburn was infatuated with endurance racecars — cars that bore a remarkable resemblance to what Louckes was looking for. 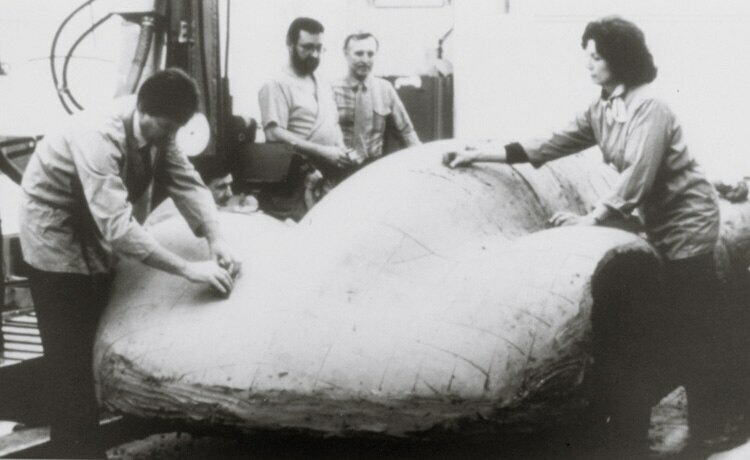 After logging long hours working on the Cutlass Supreme and other production vehicles, Welburn, along with sculptor Kirk Jones, would labor on the clay models in secret at night. 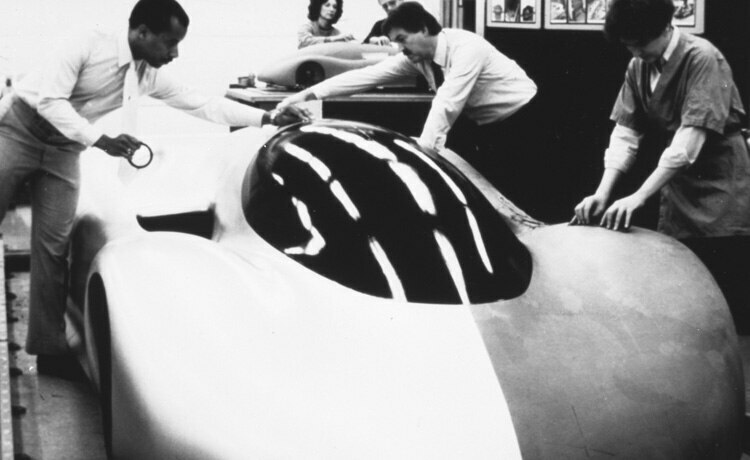 Although the first draft appeased Welburn’s bosses, it would need to be vetted in the wind tunnel — after all, cutting aerodynamic drag plays a large part in improving a vehicle’s top speed. 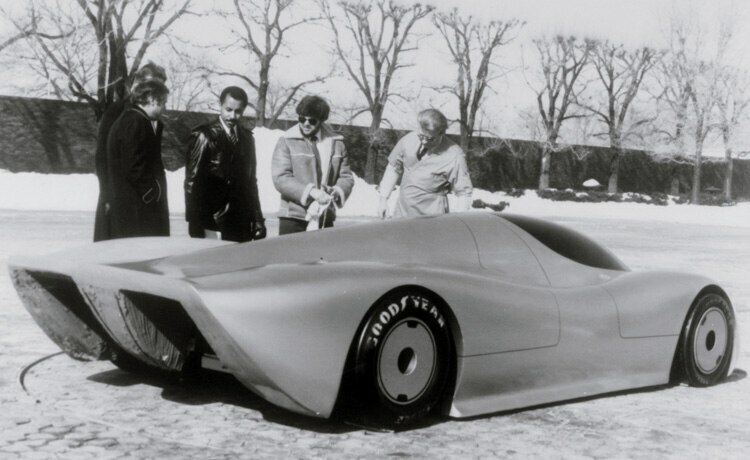 Welburn’s original design called for a long tail, inspired by the famed Porsche 917LH, but this conflicted with Louckes’ plan for legendary Indy 500 driver A.J. 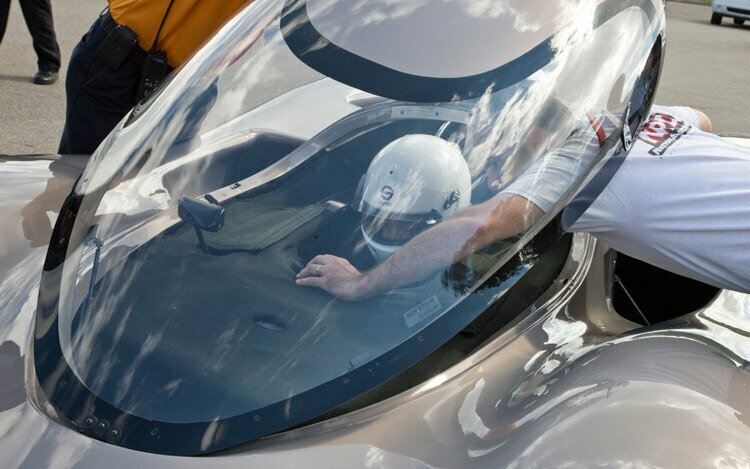 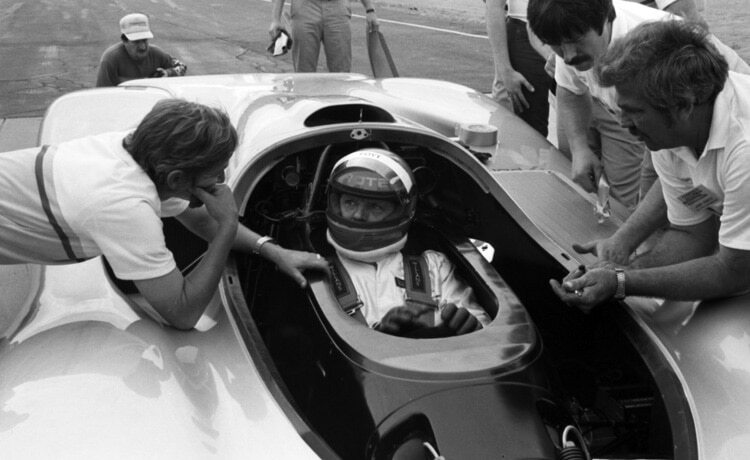 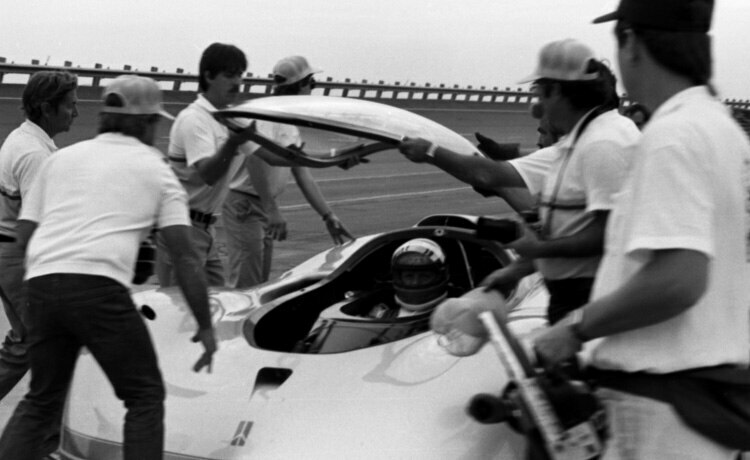 Foyt to drive Aerotech to a closed course record at Indianapolis Motor Speedway. 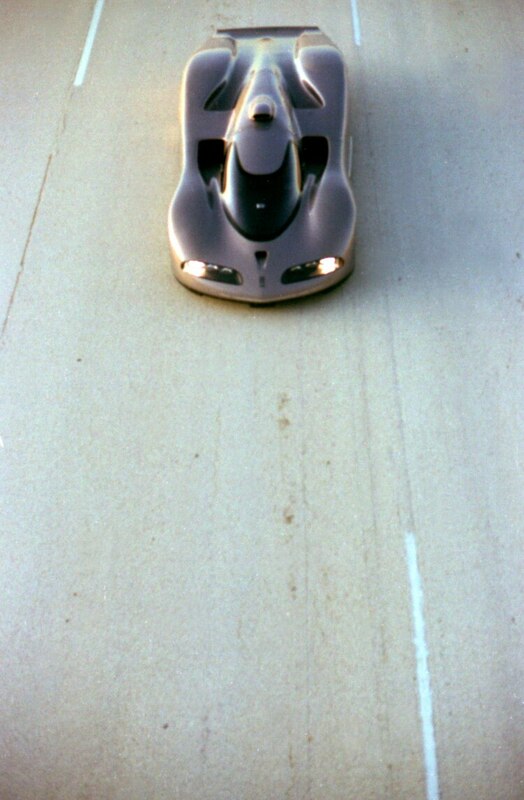 A long tail may be the ultimate low-drag shape, but a short tail — coupled with a secondary pedestal spoiler — provided the proper downforce for Indy’s corners. 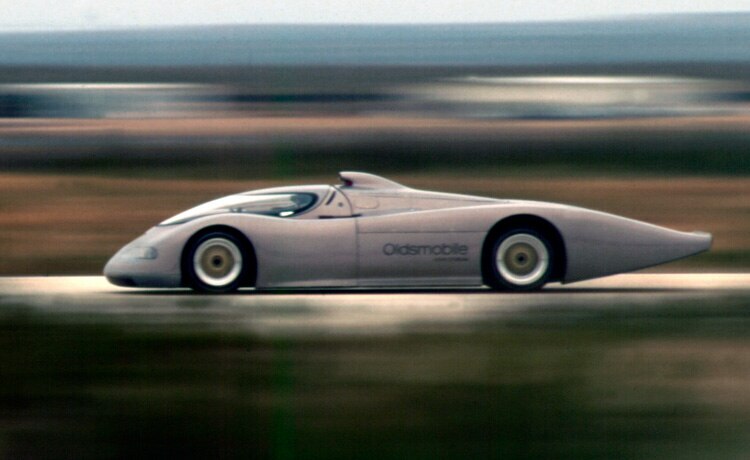 The success of the Mesa runs, coupled with the forced change of venue, prompted Oldsmobile to revisit Welburn’s original long-tail design. 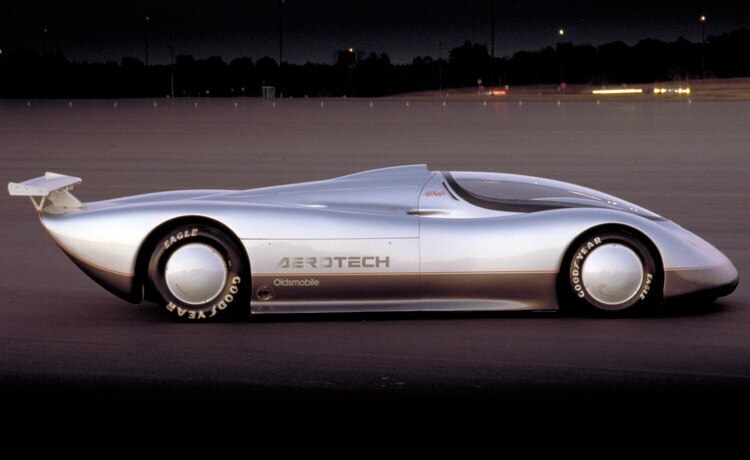 Construction of a second Aerotech was ordered at the end of 1985. 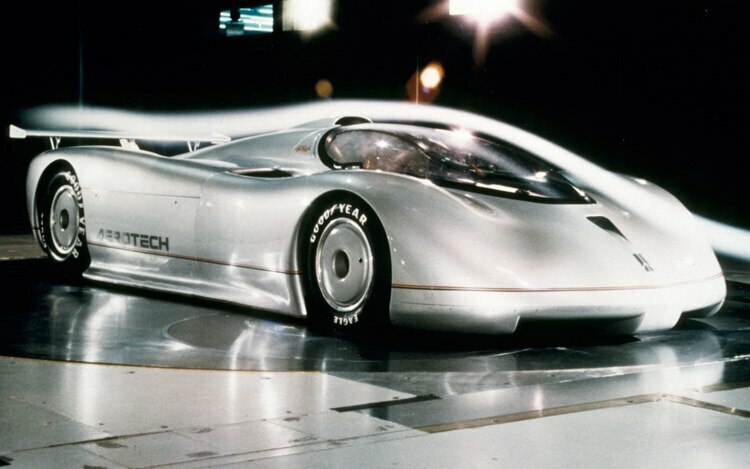 Built again from a March chassis, the second car was almost a dead ringer for the first, but differed in two ways — the rear bodywork was elongated and tapered downwards, and the Batten-built single-turbo Quad 4 was replaced by a twin-turbo 2.0-liter developed with a little help from Fueling Engineering. 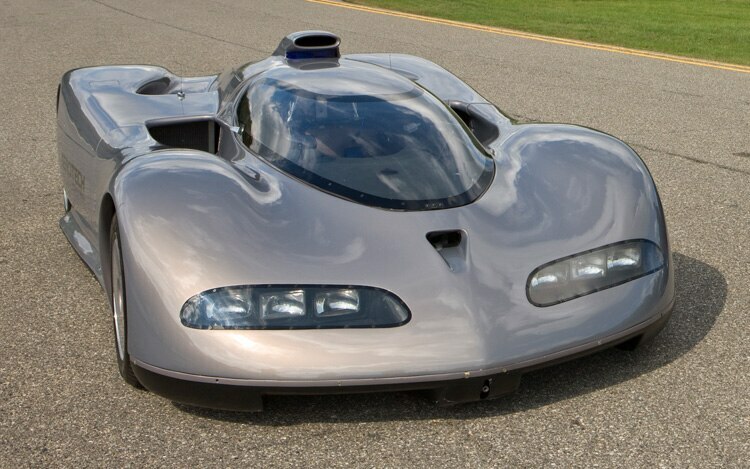 Olds never talked specifics, but the twin-turbo Quad 4 was reportedly good for more than 1000 horsepower. 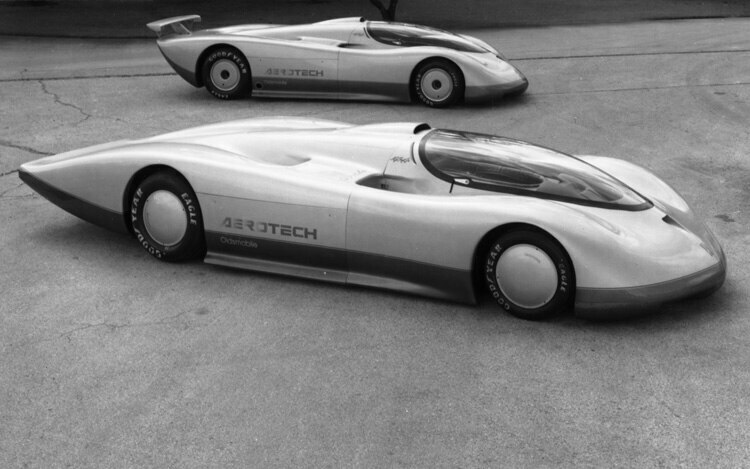 All three cars were driven hard, put away wet, and generally forgotten about. 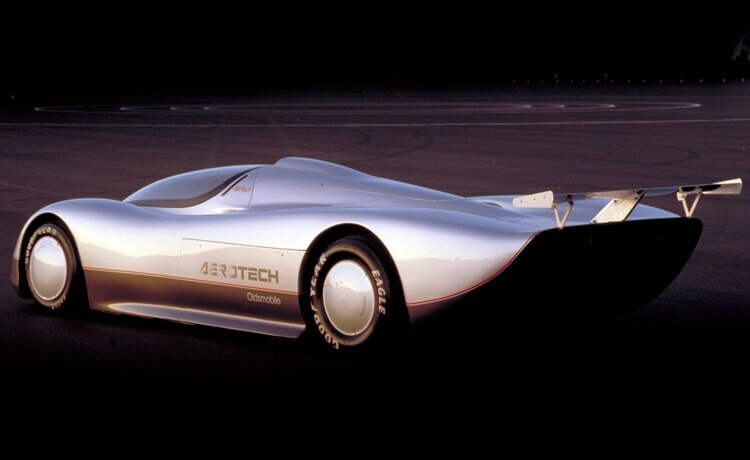 Although they occasionally made appearances at car shows across the country (even after Oldsmobile’s demise in 2004), the Aerotechs appeared to be forgotten — even by Welburn. 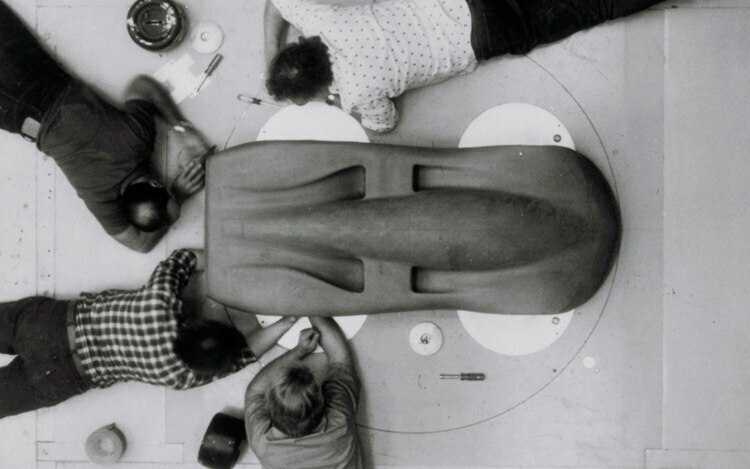 That changed in September, however, as he was walking through the design studios. 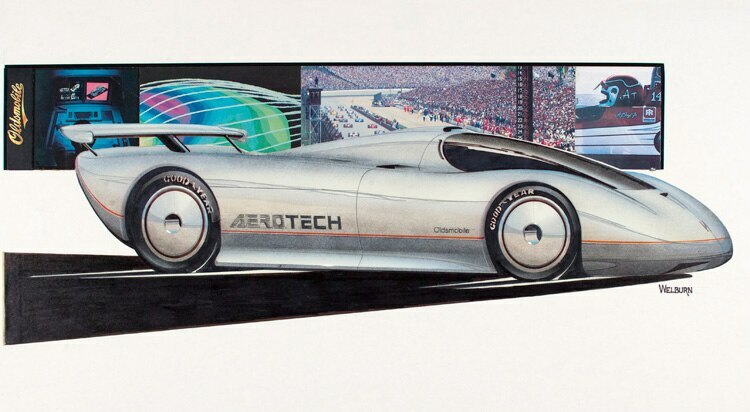 One group was working on a low-drag vehicle design, and had a number of photos posted for inspiration — one of which was the original Aerotech. 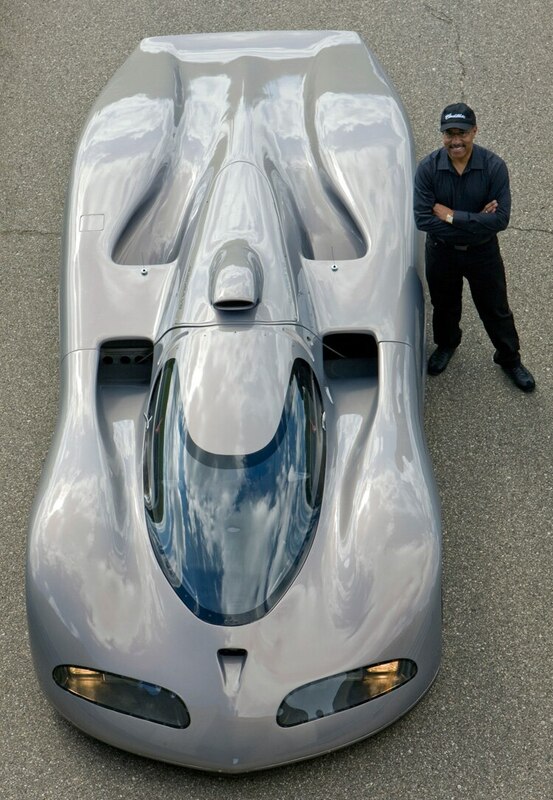 Indeed, when it came time to evolve the Chevrolet Volt concept into a production vehicle, Welburn knew aero would be an important factor — and he knew just who to call for advice. 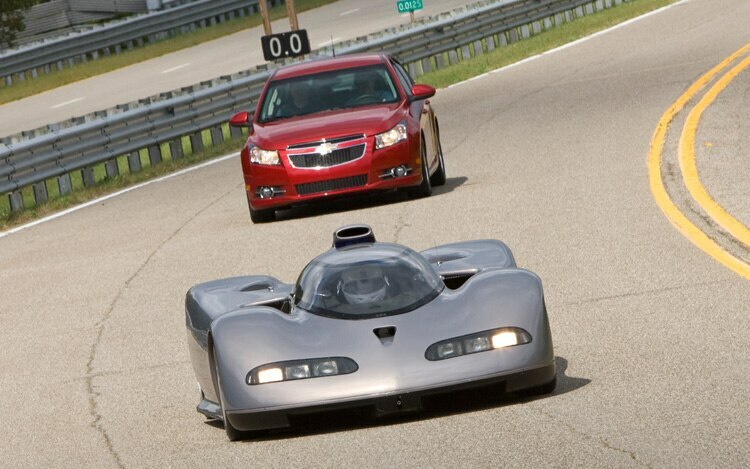 Schenkel and other aerodynamicists lent a hand in optimizing the plug-in hybrid’s shape for reducing drag — an important point, considering the original concept had a drag coefficient of 0.43 cD, which is worse than that of a Chevrolet Tahoe Hybrid (0.36 cD). 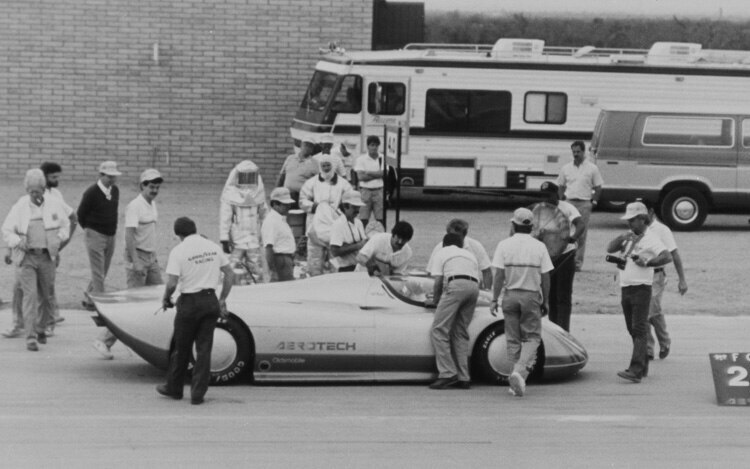 The Volt’s sides, especially in front of the rear wheel wells, are remarkably flat; as was the case on Aerotech, this helps direct airflow over — not into — the rear wheels. 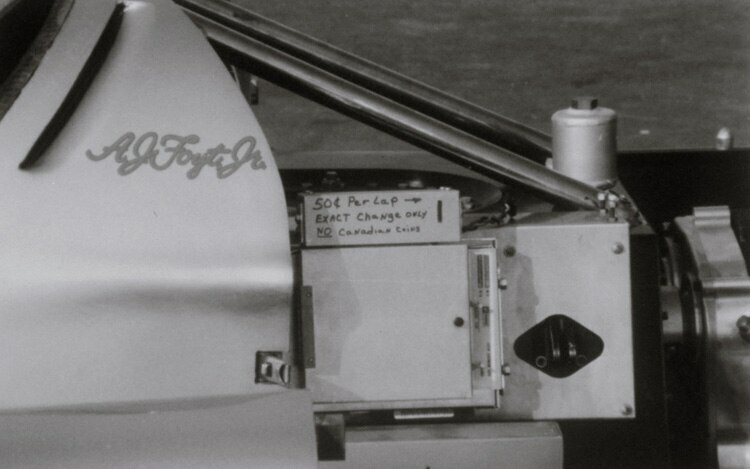 Underneath the car, the Volt utilizes a set of three panels to direct air, although they’re not designed to generate downforce like those on the Oldsmobile.